Lisa & Peter Fleming are full time professional realtors. They are a husband and wife real estate team that understand they important dynamics of each individual transaction. 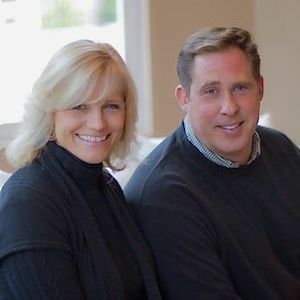 They have serviced the buying and selling community with over 27 years of combined experience, Lisa and Pete Fleming develop an excellent marketing plan and have expert local knowledge and a "can do" client centric focus that propels their strong work ethic. Lisa and Peter Fleming have always had a love for their involvement in real estate and a complete, educated understanding of market conditions. Lisa and Pete specialize in residential real estate, relocation, luxury properties, and are also Certified Distressed Property experts assisting homeowners who are looking to short sale or avoid foreclosure, Certified Investment Agent specialists, and New Home and New Construction Certifed. Lisa & Pete will be happy to provide all the information you need to buy, sell or invest in real estate in the South Bay Areas such as Gilroy, Morgan Hill, & Hollister. In addition, they provide excellent service for listings and sales on the Central Coast Areas including Carmel, Monterey, and Big Sur with an office located in the Beautiful city of Carmel. The Flemings are members of the Santa Clara, San Benito, Association of Realtors. They are active members in the Gilroy Chamber of Commerce and Lisa is currently President of Gilroy Exchange Club. The Flemings enjoy their large family, traveling, wine, and art. They are the premier real estate team you have been looking for. For an immediate consultation call now! "Lisa and Pete Fleming represented my husband and I on the purchase of our existing home and the sale of our previous home. They have extensive experience and knowledge of the South Bay real estate market. Pete's calculations showed us that the sale of our previous home would enable us to purchase our dream home. I was so impressed - Pete's projections were accurate within $2,000 or so. Lisa and Pete are excellent at marketing your property and kept in regular communication with us throughout the process. I highly recommend Lisa and Pete." - Jennifer C.
"Lisa and Pete helped us to buy and sell our home. They were always easily accessible and they are very knowledgable in the real estate industry and overall process that comes with buying and selling. I would highly recommend them if you're looking to make something happen!" - Jessica S.
"Lisa and Pete go above and beyond! When we first met it was a business arrangement and now we consider them Friends! We came down to the last minute with our home sale/purchase and found ourselves scrambling to pack/organize/clean at the last minute; L&P unexpectedly showed up at our door and helped us for two days. We truly could not have done it without them! They answered our calls at 11 p.m. and always thoroughly answered even the smallest questions!" - Adriana C.
"Working with Lisa and Pete was a wonderful experience! They are both extremely knowledgeable and passionate about real estate. They were dedicated and professional and I would definitely recommend working with them if you plan to buy or sell your home!" - Marissa C.
"Lisa and Pete are very professional and informed about the real estate industry. They pay good attention to detail and are very responsive to any listing and buying needs. They are my go-to real estate team." - Lori K.